Please call at reception or telephone during surgery opening hours. Please note the telephone lines open at 08:00 and close at 18:30 when the calls are transferred to the out-of-hours service 111. As Monday morning is the busiest time of the week please avoid telephoning then for non-urgent appointments. You can also register for our online services and book via the link at the top of this page. 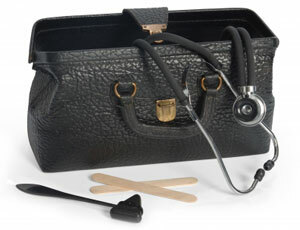 If your doctor is not available you will be offered an appointment with another GP. The surgery is on two floors. Dr Charkin, Dr Brydie and our registrar Dr Tyler are on the ground floor; Dr Greenwood, Dr Khan, Dr Chopin, Dr Skipp and Dr McCullough are on the first floor. Provision can be made for patients to be seen on the ground floor if access is difficult. Please mention this when booking your appointment. Disabled toilet facilities are also available. All consultations are by appointment. 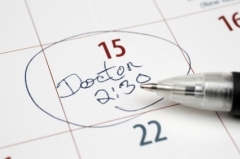 All patients who feel they need a doctor will be offered either a telephone call or an appointment on the same day if they contact the surgery before 15:00. Doctors are usually in attendance between 08:30 – 18:00, although their surgery consultation times vary. Please ask at reception for more information. Saturday morning opening is for patients who have pre-booked only. If you need a GP on a Saturday please telephone 111. There are no routine consultations on Sundays or Bank Holidays. Click here for more information on the Out of Hours Services. Whilst we encourage our patients to come to the surgery, where we have the proper equipment and facilities available, we do appreciate this is not always possible. In this respect, if you do need a home visit, you can help us by calling reception between 08:30 and 10:00. Please always leave a telephone number where you can be contacted. If you cannot attend an appointment for any reason please inform us as soon as possible in order for us to give the slot to someone else. You can contact the surgery on 01403 330320 or, if you have access to online services, appointments can be cancelled through your account.